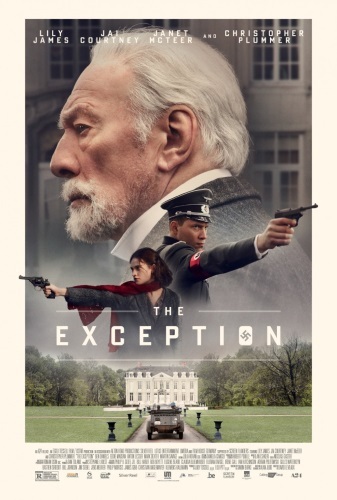 Set during World War II, German soldier Stefan Brandt (Jai Courtney) is sent on a mission to investigate exiled German Emperor Wilhelm II (Christopher Plummer). The Kaiser lives in a castle in the Netherlands, and following the invasion, the German authorities are concerned that Dutch spies may be watching the Kaiser. As Brandt begins to infiltrate the Kaiser’s life in search of clues, he finds himself drawn into an unexpected and passionate romance with Mieke (Lily James), one of the Kaiser’s maids whom Brandt soon discovers is secretly Jewish. The Corporal informs Brandt that there is a spy passing information from a nearby village which is being investigated. Mieke is an informant who reports to a person in town about what's happening inside the Kaiser's home. When Heinrich Himmler (Eddie Marsan), head of the SS, decides to come for an unexpected visit with a large platoon of SS men, Brandt is forced to make the ultimate choice between following the Nazi party line and following his heart. Read more on Wikipedia.